Tackling plastic waste at festivals and events is key to our mission at RAW. That’s why we’re so pleased to announce a new and exciting partnership with the Association of Independent Festivals (AIF). 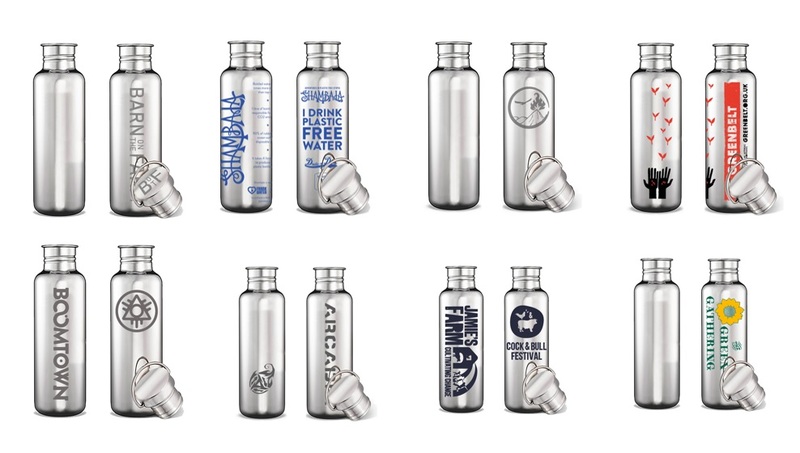 RAW Bottles is now the official reusable bottle partner for the AIF in a strategic move to continue to empower festivals to go plastic-free. Our sister organisation, the RAW Foundation charity, and the AIF jointly produced the Drastic on Plastic campaign on Earth Day 2018. The campaign encouraged 60 festivals to pledge to eliminate single use plastic by 2021, and we are keen to keep up the momentum and offer simple solutions to help festivals achieve their goal. As part of the new partnership, 10% of RAW Bottles sales made to AIF members will be donated to the Drastic on Plastic campaign fund to enable festivals to eliminate single use plastic. Many festivals have already made the switch to RAW Bottles, with clients including Glastonbury, Shambala, Port Elliot, Boomtown, Cropedy, Arcadia, Green Gathering, Greenbelt and Fire in the Mountain. Festivals can now sell now and pay later! RAW Bottles has also developed a new purchasing model for festivals which either don’t have the funds to commit to a bulk order up-front or cannot predict how many they might need. Our buy-on-demand option allows clients to take orders before committing and then purchase the amount they need/have sold to be delivered to their event for collection. The RAW Bottle is a simple solution and offers one key change that festivals can implement to help reduce pointless plastic. Each reusable RAW Bottle sold typically helps to prevent approximately 167 single-use bottles from going to landfill per year. Our bottles recently won the Green Supplier & Innovation Award at the Showman’s Show, and we have just been shortlisted for the Green Supplier Award in the Festival Supplier Awards 2019; both recognising the bottle’s environmental credentials.